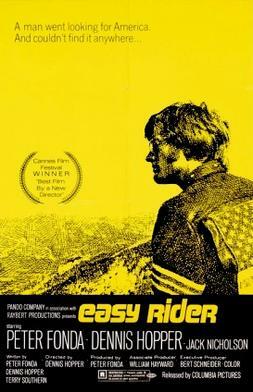 And so... Easy Rider, we meet again. See how easy artistic prattle is? Spilling forth into our cups is the veritable ambrosia of the 1935 Marx Brothers' "A Night at the Opera." Their first MGM picture, their first picture with a plot that included actual points, their first picture without Zeppo--who left the team to become an agent. Co-starring opera singer Kitty Carlisle and Allan Jones in a bona-fide sub-plot fit for the most dramatic of films! Space ships, wormholes, aliens, Muppets?!? Turns out, plenty. @galaxharr and I watched Farscape Season 1 episode 16 and though we survived, we are a little worse for wear. Find out where we think this one is headed! Listen up you frelling frells! 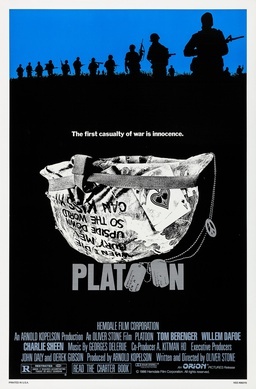 Oliver Stone's 1986 meditation on war and what it's good for, Platoon is up today. Should maybe they turn the Oscar for Best Picture in? Due to some scheduling issues, we haven't been able to get the latest episode of the 100 of Some(Movie)Thing podcast out to you, our loyal listeners, but fear not! It will be dropping very very soon! So keep those feeds poised! Edit: What the fracking frack? I just discovered that Episode 14 had no *episode* attached! That should be fixed now! Please listen, it's a good one! Sitting here @LAPodfest in the Sheraton Delfina, but it's time to post! So here we go! Just a short write-up today since I'm on my phone. More later. We finally ran into a stinker. Honestly I didn't expect it. Really, 400 movies to choose from an this one made it to #88? Seriously, this film has everything it needs to be successful; Cary Grant, Katherine Hepburn, directed by Howard Hawks (His Girl Friday, Rio Bravo), a leopard. Yes. A leopard. Named Baby. The titular "Baby" in fact. Though what it's really doing in the picture is a mystery. As is the reason this film is on the list. I can't figure it out. @the_Fro can't figure it out. But maybe you can help. Give a listen. Let us know what you think. Edit 10/05/2012: Looks like the last seven minutes of the podcast was cut off. It has been lovingly and painstakingly restored. Enjoy. Oh holy crap does this movie hold up! We watched M. Night Shayamalan's (got it on the first try) Oscar-nominated debut, The Sixth Sense. Even knowing how it ends while watching doesn't dull this creepy little masterpiece. Oh, and there are spoilers contained in this podcast. You are warned. You will be warned several more times while listening... so in all we've given you 13 years and the first several minutes of this podcast to watch it. Here it is folks, the premier episode of my podcast with my daughter, @galaxharr. We're going to watch one episode each of 100 Sci-Fi TV shows. And then see if we can determine what the show is about based on that single viewing. First up, Red Dwarf, the British Sci-Fi comedy series from the late-80s, early 90s. This 1936 gem, originally titled "Never Gonna Dance," was the *sixth* collaboration between Fred Astaire and Ginger Rogers and is probably their best. Classic songs, exceptional dancing and just the bare minimum of plot to hold it all together. See if you can spot the plot of pretty much every dance-themed movie made since! Also, the title had virtually nothing to do with the content of the film, it was re-titled to capitalize on the Swing craze that was sweeping the nation at the time.